Home » Software » Schema.org Actions for Bing : What Is It? Schema.org Actions for Bing : What Is It? On Friday, I reported at Search Engine Land that Schema.org launched Actions, a new markup that describes actions that have taken place in the past [past actions] or could take place in the future [potential actions]. Note, Schema.org is the centralized organization backed by Google, Bing, Yahoo and other search engines, for standardizing markup that mostly search engines use to better understand text and content on a web page and is often used in rich snippets. (A) The Action vocabulary is intended to be used primarily for describing actions that have taken place in the past [past actions] or could take place in the future [potential actions]. Let’s assume Barry shared an MSN article on Facebook yesterday. This is an example of a past action. Facebook might use schema.org to describe the action by indicating that Jason is the subject (agent) of the action, the action verb is sharing, and the object of the action is an MSN article. Now let’s say MSN wanted to expose the ability for applications to programmatically share an article on their website. This would be an example of a potential action. MSN might use schema.org to describe the potential action by indicating the action verb is ‘sharing’ and that you can perform this action by calling a specific URL. (Q) How may Bing use this in the search results and is it being used now? (A) Bing currently uses a draft version of the Actions vocabulary to power the recently released App Linking service. You can learn more about that via the Bing Dev Center and associated MSDN documentation. In addition to App Linking, there are a number of ways in which we might use the vocabulary to power new experiences in Bing and other Microsoft products. Unfortunately there are no definitive plans we can share at this time. Note that Bing uses other schema.org vocabularies to power its rich web result captions as well. More information on that product is available in the Bing Webmaster Tools. (Q) What are the goals here for webmasters? 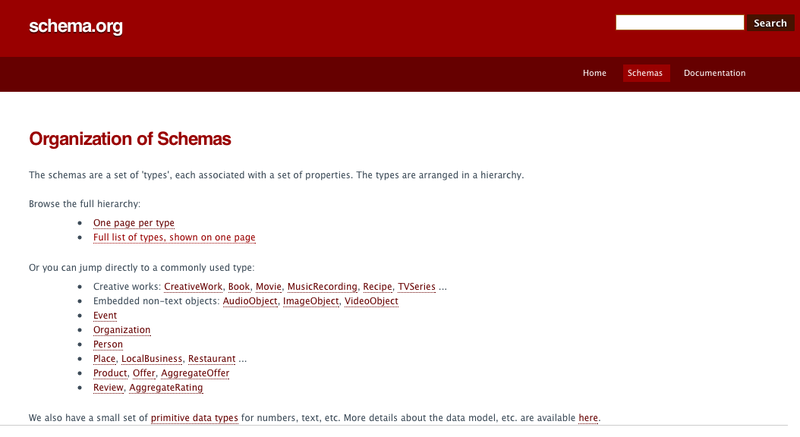 (A) The primary goal of schema.org has always been to provide webmasters with a common vocabulary for use in describing their data. The new Actions vocabulary, especially the terms associated with potential actions, extends this goal to include describing services as well. By providing these descriptions, search engines like Bing and other applications that consume them can leverage the associated information to expose the data and services in a relevant and useful way. actionStatus: Indicates the current disposition of the Action. agent: The direct performer or driver of the action (animate or inanimate). e.g. *John* wrote a book. endTime: When the Action was performed: end time. This is for actions that span a period of time. e.g. John wrote a book from January to *December*. instrument: The object that helped the agent perform the action. e.g. John wrote a book with *a pen*. location: The location of the event, organization or action. object: The object upon the action is carried out, whose state is kept intact or changed. Also known as the semantic roles patient, affected or undergoer (which change their state) or theme (which doesn't). e.g. John read *a book*. participant: Other co-agents that participated in the action indirectly. e.g. John wrote a book with *Steve*. result: The result produced in the action. e.g. John wrote *a book*. startTime: When the Action was performed: start time. This is for actions that span a period of time. e.g. John wrote a book from *January* to December. target: Indicates a target EntryPoint for an Action. Known as the most widely used email service, Microsoft Hotmail is enriched with the latest version known as Microsoft Outlook. It basically comprises of the enhanced features that can be accessible from anywhere on the globe. Since Microsoft Outlook is the official email provider for “hotmail.com” so use Outlook to reset any Hotmail or Microsoft Live passwords. Check How to Change Hotmail Password.